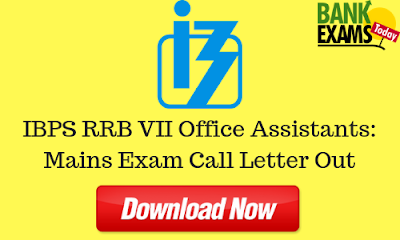 Institute of Banking Personnel Selection (IBPS) has recently released the Mains Exam Call Letter for RRB VII Office Assistant post. You can download your Prelims Exam Call Letter from here. Commencement of Call letter Download:- 19 - 09 - 2018.